Southwest...The Little Quadrant That Could: SW ArtsFest is Today! 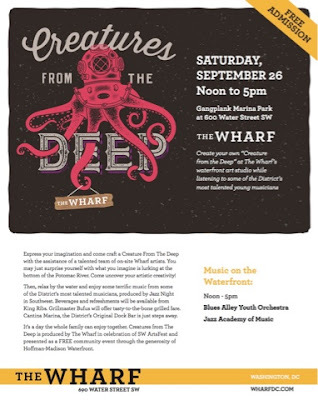 Don't forget that today is the fifth annual SW ArtsFest, a day-long celebration of the arts in Southwest. Some of the events around the quadrant include the Jazz Preservation Festival at Westminster Church, Creatures from the Deep at Gangplank Marina Park, and the End of Summer event at the SW Duck Pond. 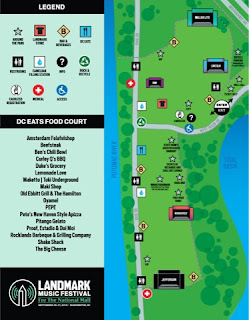 Also this weekend is the Landmark Music Festival in West Potomac Park, a concert series that's helping to raise funds to restore the National Mall.